The open air food plaza and Cradia where enormous stalls are put up for selling Handicrafts and Handlooms is termed as Dilli Haat. Initially it was just a reclamation project introduced over 6 acres of land. Later it was modernized as Plaza. Even now, the small thatched roof stalls will make you feel as if you are midst of village. One can purchase rosewood, sandalwood crafts, footwears, paintings, drapery, gems, brassware etc at reasonable rates. 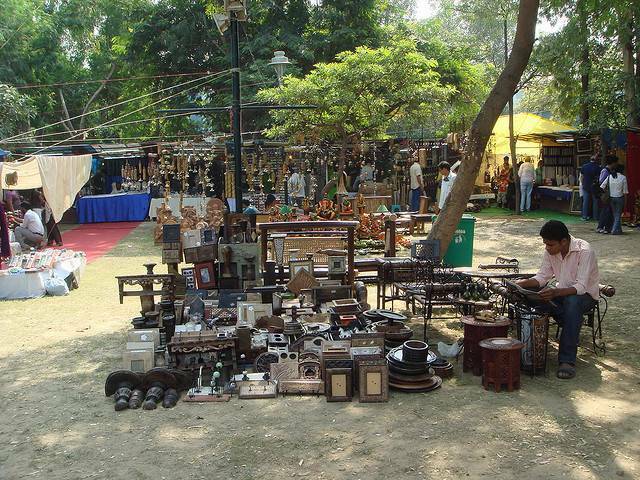 Sellers from all over India can put up a stall in Dilli Haat complex. For this purpose few stalls can be rented out for the time period of 15 days.